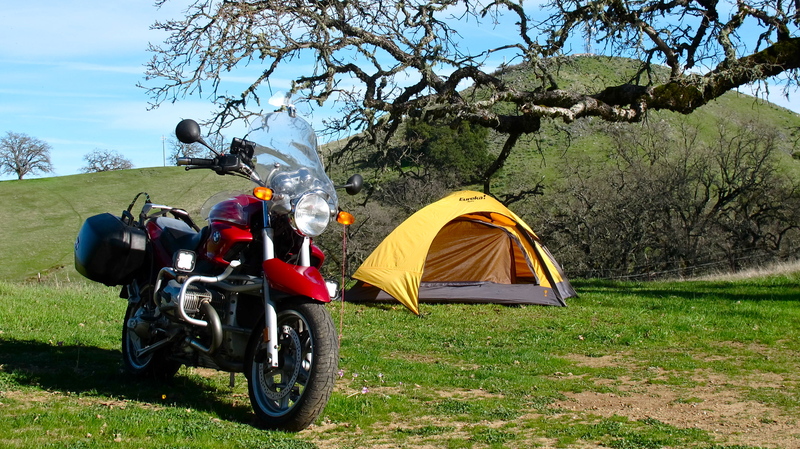 The BMW Club of Northern California has been a riding and camping club for over 50 years. You don’t have to have the newest GS to get your gear to the camp site. Join us for a weekend trip and you’ll see anything from K bikes, RTs, GSs, and Airheads at the campground. We motorcycle camp throughout the year in California. Winters are mild enough to camp as well. During the summer we venture as far as Oregon and Nevada. Deciding on what to take camping is a personal preference, but some basic items are pretty universal. Picking backpacking gear is a great starting point. Weather dictates what additional clothes to bring for comfort. The BMW NorCal New Camper Program! This pilot program launched in July 2018 is intended to help riders that are new to camping and includes both education and loaner gear. Click to contact us at camp@bmwnorcal.org with questions, gear availability, or how to donate gently used gear.